Review Summary: Manoj Bajpai excels in this story with heart. When a coach trains a five year old against all logic, is it for self publicity or has he really saved the boy from abject poverty and slavery? Does the government have any right over a young sportsperson's need to run or did they do a right thing? 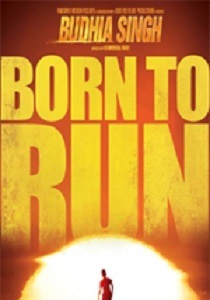 This movie tackles all this and more by telling us the story of a five year old marathon runner Budhia Singh and his devoted coach Birinchi Das. Will shake you up. There are no star trappings, but the film leaves you with a warm, fuzzy feeling. So much so that you will want to overlook the flaws and just enjoy the experience. A moving story told in an incredibly sincere and candor fashion. Overall, the film with all minor misgivings, is a candid and honest tribute to a talent we have cast off. It deserves to be watched.